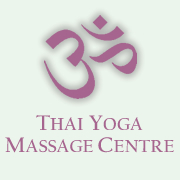 We have a number of client testimonials for those who have enjoyed both our yoga classes and massage therapy treatments. "I have gone to see Fiona on a number of occasions complaining of aching muscles or sore joints, ligaments and tendons, and after a session of Fiona's soft-tissue work - which always demonstrates a very good command of a number of different approaches and techniques - I always walk away feeling better. Furthermore, Fiona does not practice the 'one size fits all approach' to treatment, but rather is good at tailoring approaches not just to different patients / clients (based on feedback I hear from my own patients) but to the same patient / client depending on their problem, energy levels etc. on that day."